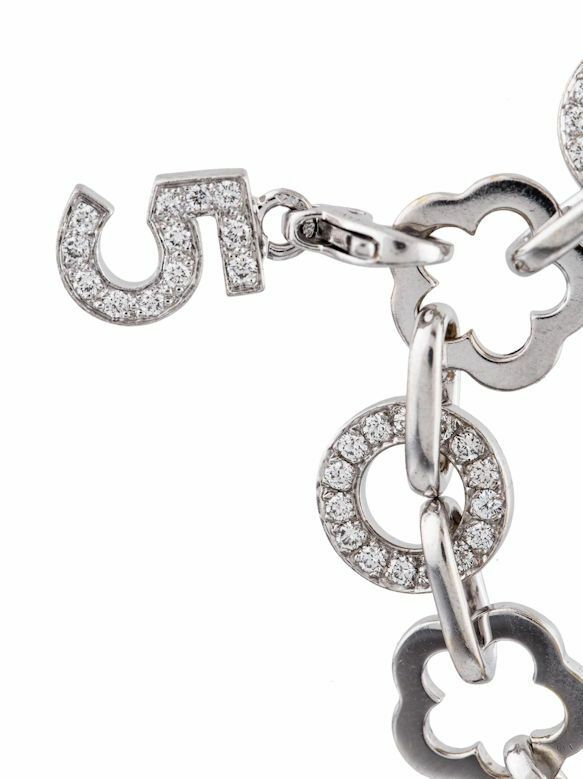 From Chanel's Fine Jewelry Mademoiselle collection comes this 18K white gold & diamond "Profil de Camélia" charm bracelet. 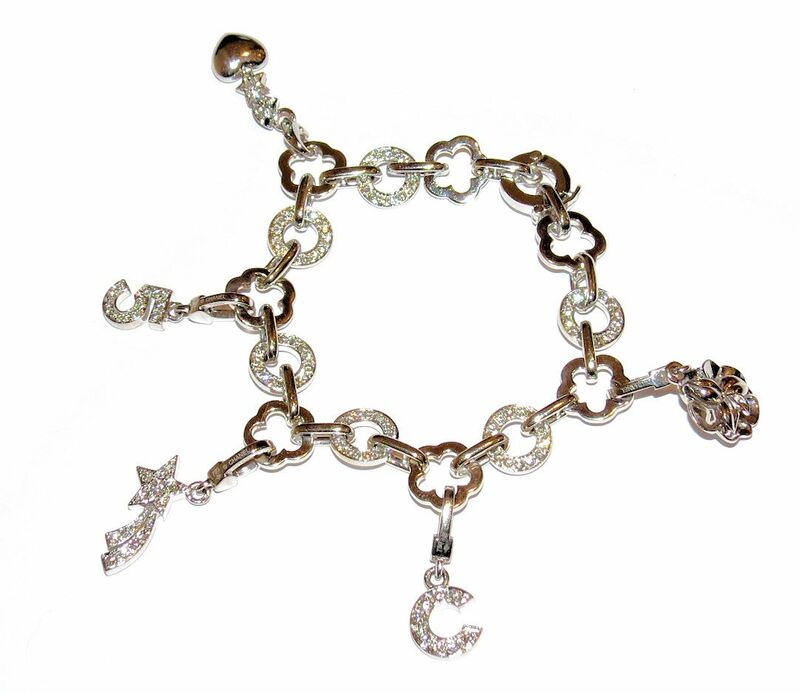 One of the most highly coveted pieces of the Mademoiselle collection, an homage to Coco Chanel herself, it is now retired and was IMPOSSIBLE to find even when first created as only a very few Chanel Boutiques carry the Fine Jewelry line and this particular bracelet is the rarest of the rare in that the actual bracelet itself has diamond links. 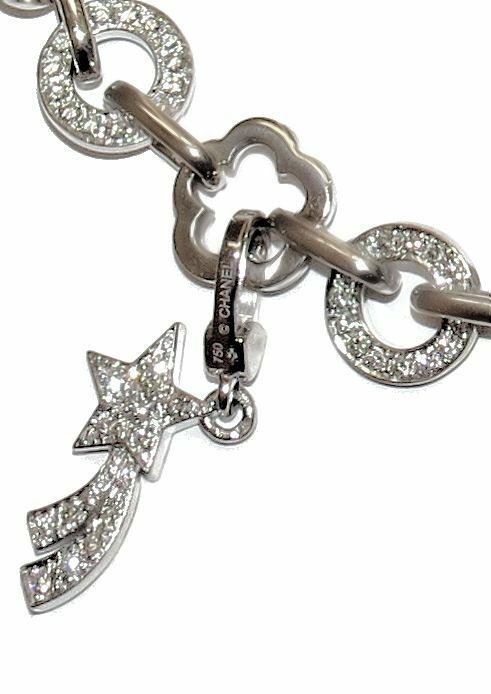 99.9% of the Chanel charm bracelets that you will see DID NOT have diamond links in the bracelet. 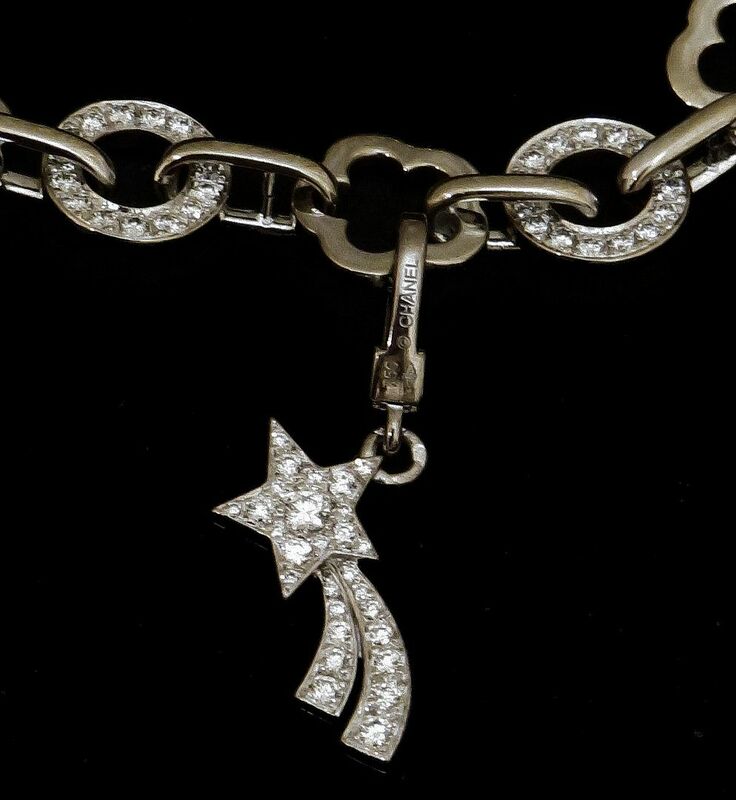 The diamond link bracelets were much more expensive and limited to the Rue Cambon Boutique in Paris and less than a handful of Boutiques in the world. 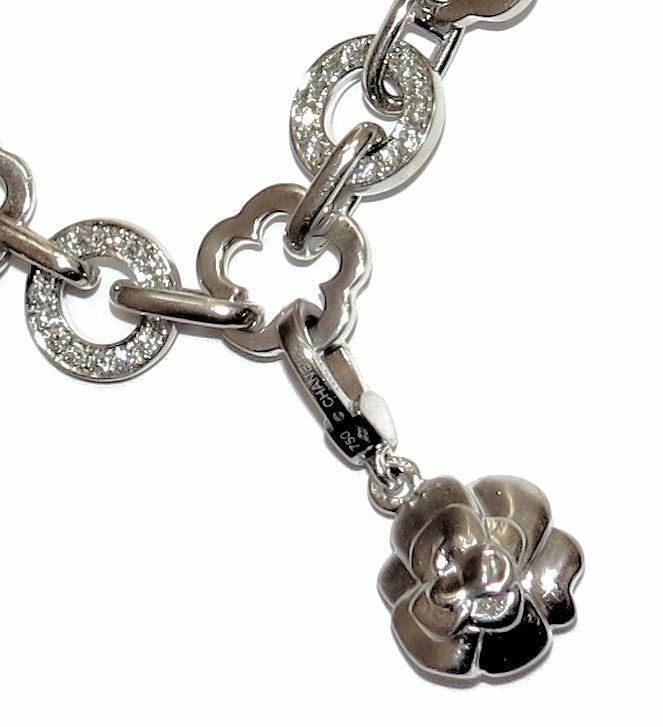 The bracelet itself is a stand alone piece with two symbols intertwined, Coco's favorite flower, the iconic Camelia, interlocking with endless destiny, the unbroken circle, in this case each of the circles in full diamond pave. 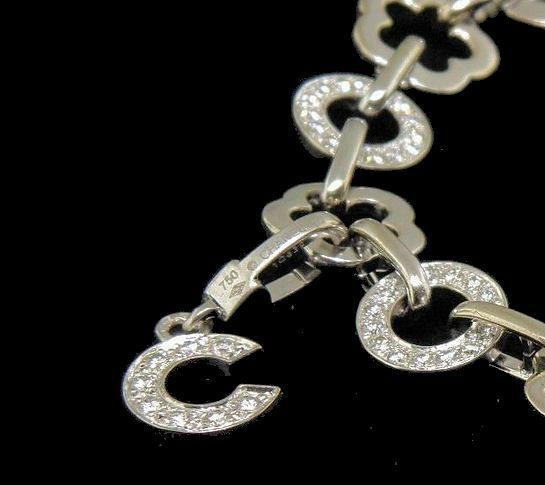 It is signed Chanel, hallmarked, numbered and has the 750 present for 18K gold. 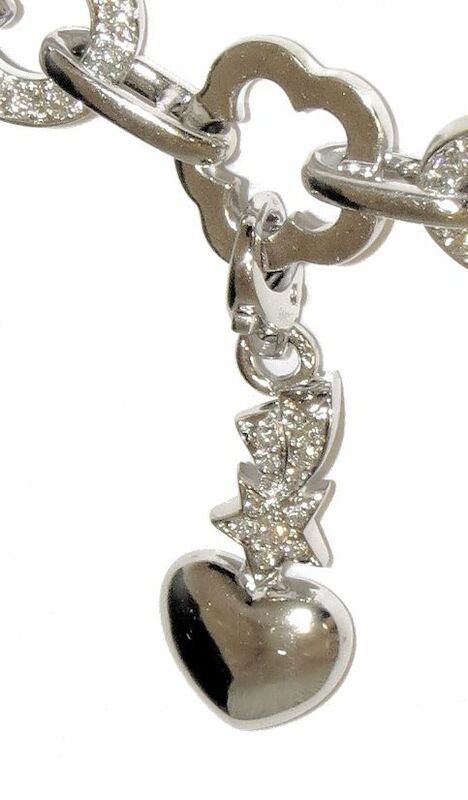 There are five white gold, white gold/diamond charms attached. 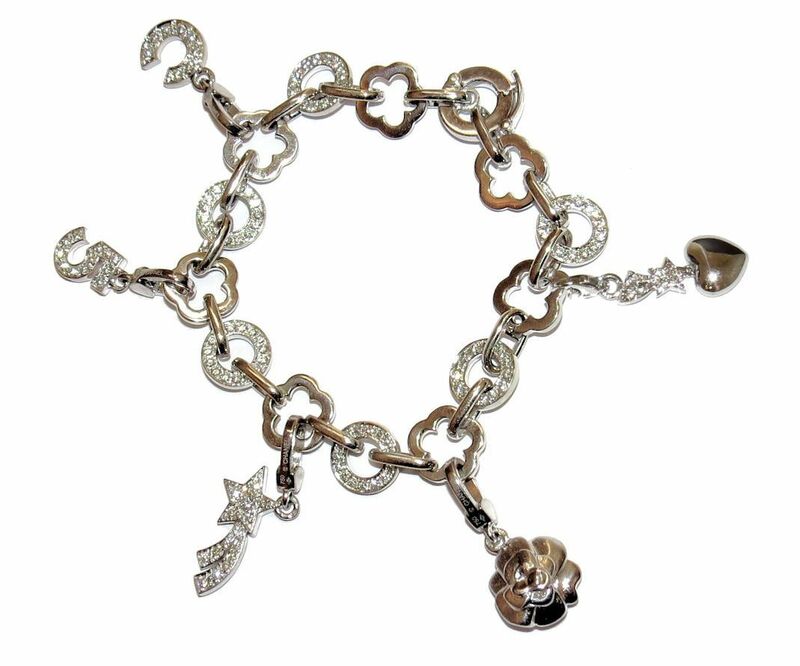 They have traditional lobster claw clasps and are easily removable if you want to wear the bracelet without the charms. 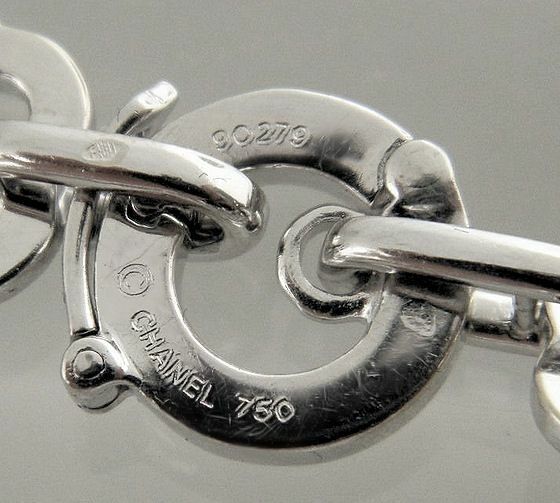 All of the charms are Chanel signed and hallmarked 18K gold and carry the individual serial number assigned by Chanel. 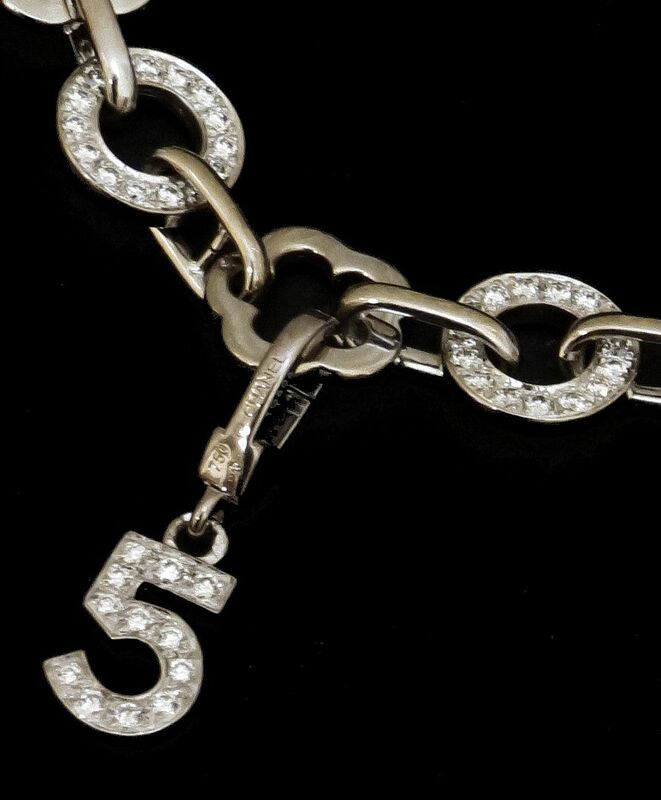 The total carat weight is approximately 3 carats of E/F color VS/VVS clarity diamonds, all original Chanel not after market. 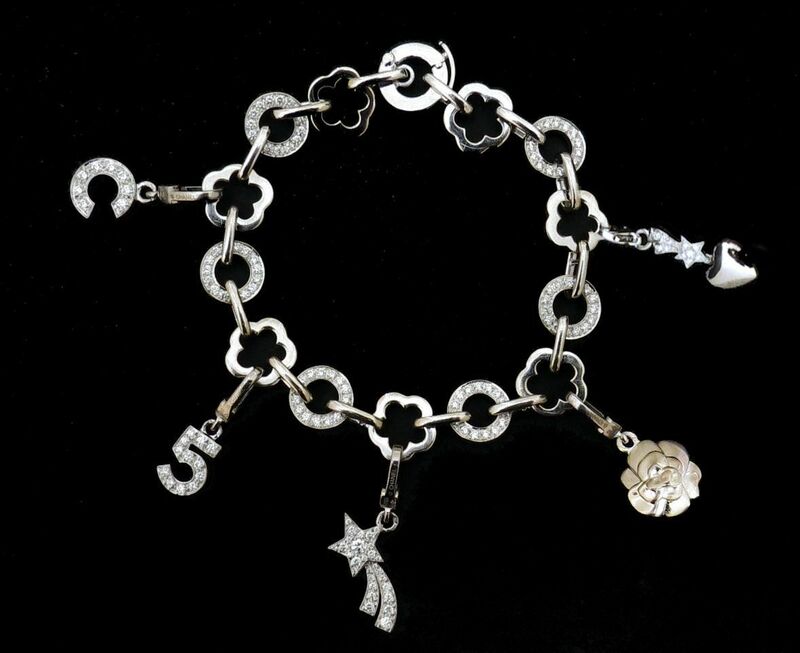 The bracelet weighs 44.3 grams and is 7.5" long end to end working for a wrist up to 6.75" in diameter. 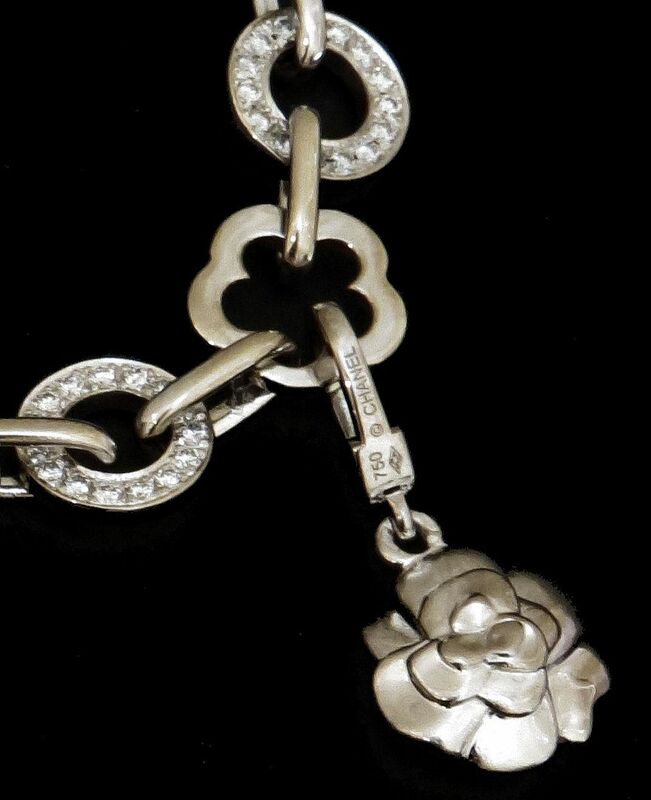 The camellia links are 10.85mm wide and the diamond circle links are 10.25mm wide. IN SUPER MINT condition, in the Chanel presentation box.